During our recent trip to Poland I was asked a question that I have never encountered before. Is he asking me if I wanted “distilled” water? But what about the gas? Does he know that I am feeling gassy? Will they gassed me or something? Finally it dawned on me that he was asking if I wanted “regular” water or “carbonated” water! It’s just that I am not familiar with the term “still” or “gassed” water. 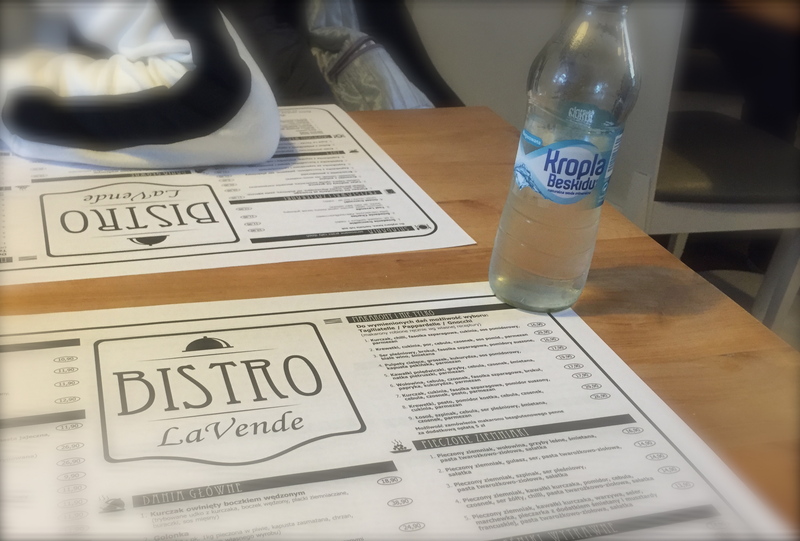 Something I learned in Poland was, first, they don’t offer tap water in restaurants. Water is always bottled so you have to pay for it. Secondly, they like carbonated water, for some reason or another. And thirdly, they really call the carbonated water, “gassed” water. I think technically it is more accurate than the term sparkling water. Apparently sheep cannot drink from a rushing water. So the shepherd has to bring them to a spring or brook with quiet water, or he has to make a small dam for the water to be still, and only then can his herd of sheep drink the water. But maybe it is not only our drinking water that we wanted to be still. Last summer, in our home trip to the Philippines, we were able to visit Palawan, and we spent a few days beside the ocean. 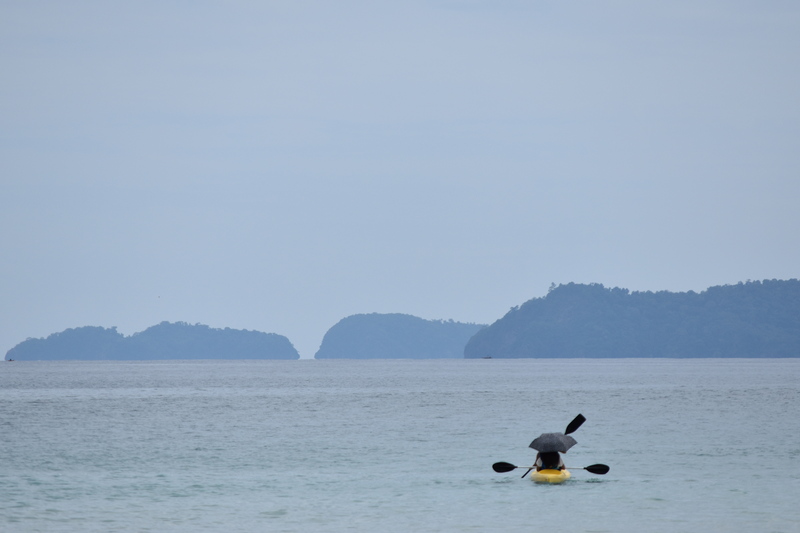 We rode boats when we went island hopping, did some swimming and snorkeling, and enjoyed some time kayaking. During those water activities, you want the ocean to be still. We would not dare sail in a turbulent sea or when the waves are raging. So we want the water where we are treading, to be still waters, as well. However the waters where we tread, are not always still. It can be stormy at times. 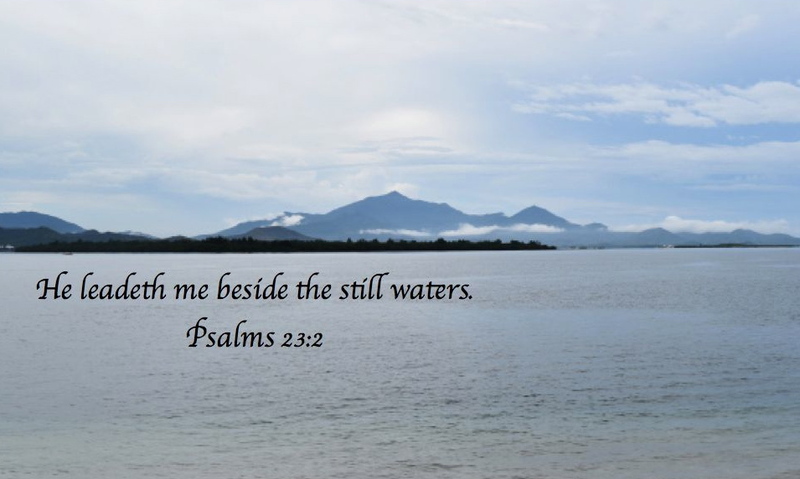 Two years ago, the waters near Tacloban, Philippines became turbulent. So turbulent that it caused 15 to 20-foot-high storm surges during the super typhoon Haiyan (local name Yolanda). It caused terrific devastation not just near the coast but even spanning to several kilometers inland. I witnessed this devastation first hand, and it’s not easy to forget such horrendous tragedy . Sadly to say, thousands of lives were lost, with millions more affected. I can only pray for the continuous healing and recovery of those survivors. We may like to have still waters all the time, but you and I know that angry waters is part of our lives. And I am not only talking about drinking water or sailing water for that matter. I think you know what I mean. You may have not experienced stormy waters before and I hope you won’t ever go through them. Or you may have gone through some rough waters before, and glad that you’re over it. Or you may be going through raging waters right now, that you are desperately asking when will the waters go still. And when the storm clears, He will lead me besides the still waters, and He will restore my soul. I wondered if you were in Warsaw or if you went to Krakov. Here in California, because of the drought, we are accustomed to having to ask for water or else, we will not get it. And yes, we are asked whether we want still or sparkling. If still, if we want bottled to tap. Lots of choices to make, huh? Just to get a glass of H20. The photo of Sabang looks great. We will visit Palawan one day! Promise. The photos of Typhoon Hayan are just so heart wrenching. We just stayed in Lodz. Not able to visit Warsaw or Krakow. And you really should visit Palawan. Happy Autumn to you as well.